Franchise Gator announced its client Wild Birds Unlimited recently signed two new franchisees from their marketing partnership with the online franchise directory. Wild Birds Unlimited has trusted Franchise Gator for online marketing and lead generation to attract new franchisees for nearly ten years. The two new franchise locations are slated to open in McKinney, Texas and the Philadelphia, Pennsylvania area in the first half of 2017. 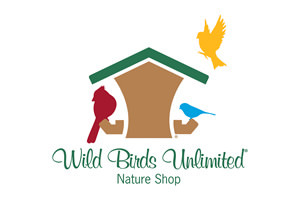 Wild Birds Unlimited is the original and largest franchise system of backyard bird feeding and nature specialty stores with more than 280 locations throughout the United States. Wild Birds Unlimited specializes in bringing people and nature together with bird feeding and nature products, expert advice and educational events. Franchise Gator, a unit of Landmark Interactive, a division of Dominion Enterprises, is the leading online directory for those seeking to invest in a franchise opportunity, providing franchisors with a quality, cost-effective mode of marketing. Now in its 15th year, Franchise Gator and its network of sites offer information on hundreds of business and franchise opportunities available in a variety of industries.